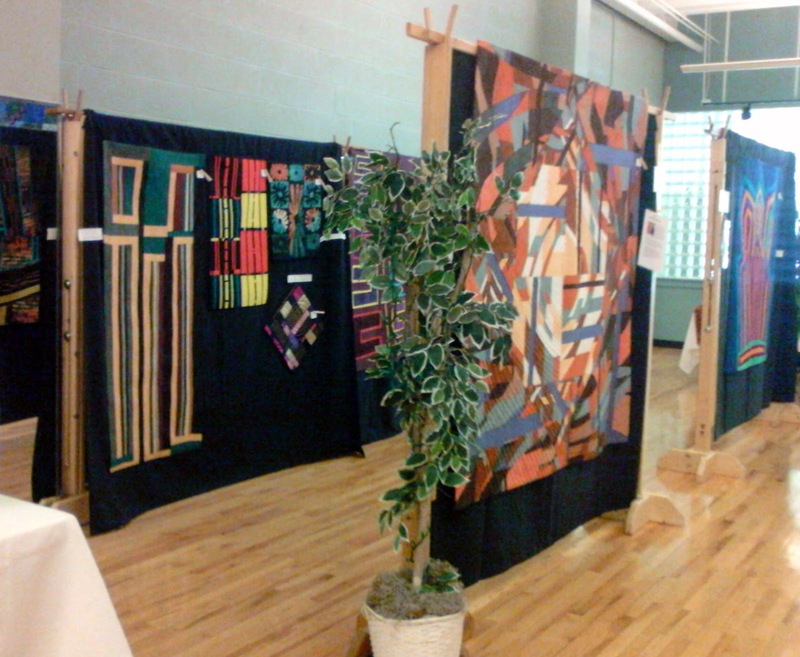 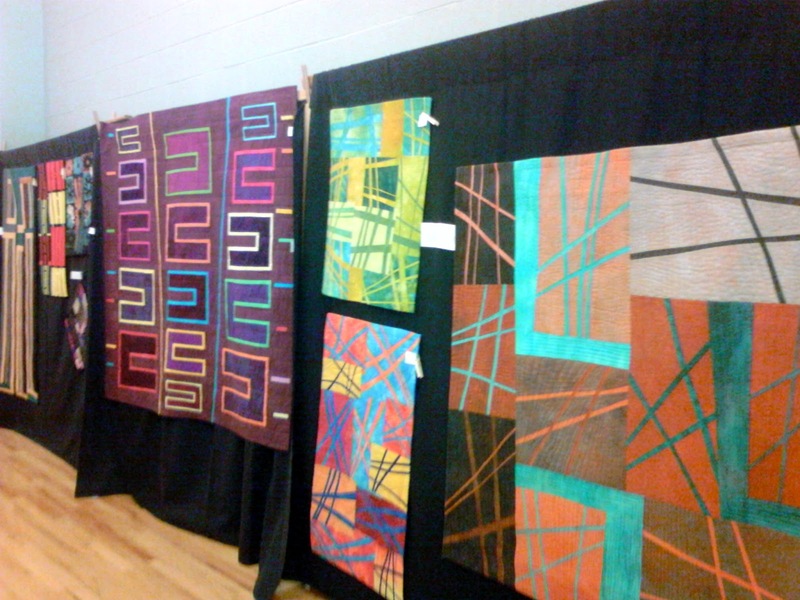 The YWCA of Cortland presented their "Quilts Across Cortland 2014" show on May 17 and May 18. 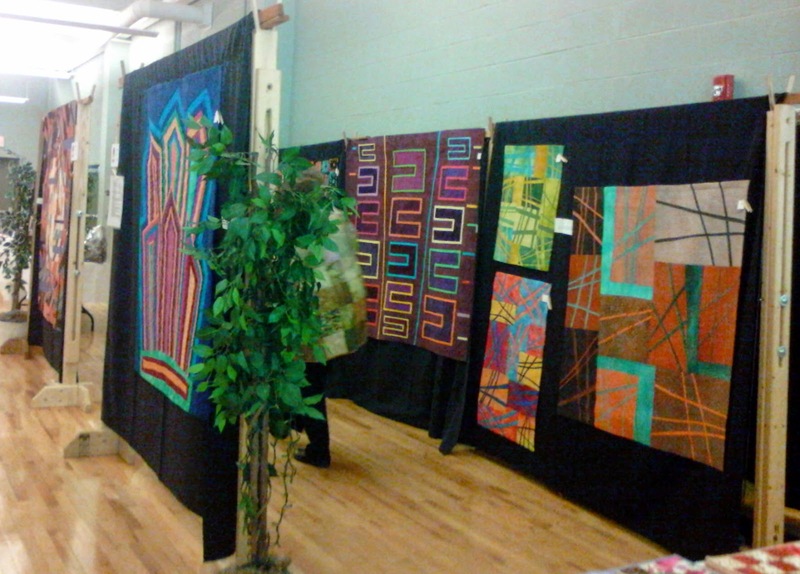 I was pleased that they selected several of my quilts for a special exhibit. 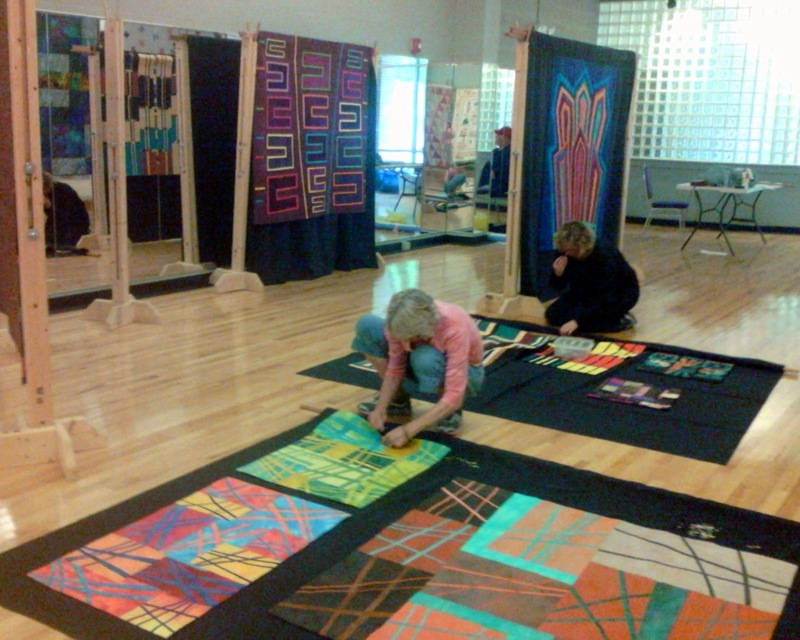 Here are members of the committee hard at work during the set-up, organizing some of my smaller quilts to fit on the drapes.